In conventional drafting, dimensioning is generally drawn to recognized national or international standards, which determine the format of the dimensioning. The dimensioning may also be subject to internal company standards, which may define the way in which dimensioning values are presented. MEDUSA4 allows you to create dimensions to one of five standards, namely: ANSI, BSI, DIN, ISO and JIS. In MEDUSA it is possible to pre-define the dimension standard which shall be used, and to adjust different parameters for it, like the dimension text height. 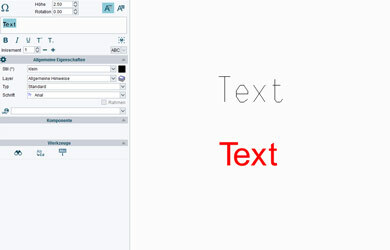 In MEDUSA4, text and lettering can be added in a wide range of forms and formats. Users can add single or multiple lines of text, and can choose the lettering and format for the text. As with lines, styles can also be chosen for texts. A text style is a collection of one or more text properties. For example, a text style may specify the text type, color and height of text. In addition, users can also add notes to a drawing or add a URL to a text. The MEDUSA4 Text Translator enables you to translate the text on sheets into a different language. No special skills are required to run the Text Translator once a translation database has been set up. Apart from translating text from one language to another the Text Translator can be used to replace text, for instance you can replace purchase order numbers for one supplier by the corresponding numbers for another supplier. In MEDUSA4, users can create, import or export extensive tables. 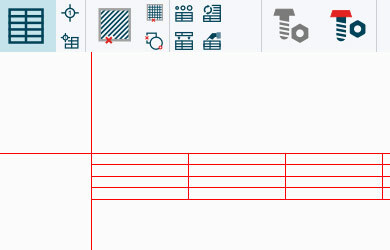 For instance, the tools can be used to add individual tables to the drawing and to format them. 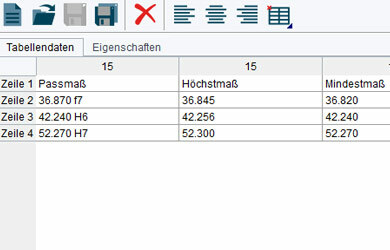 External tables can be imported into the drawing in the form of a CSV file, and then edited further. 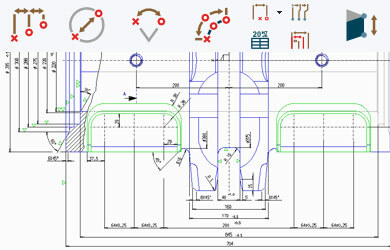 Tables added to the drawing can also be exported to external table calculation software for further editing. In MEDUSA fit tables are created automatically. You can decide, whether all or only selected fits on the sheet should be transferred into the table. You can edit the table contents and the properties of the table. Bore hole table tools allow constructing engineers to easily create bore hole tables. 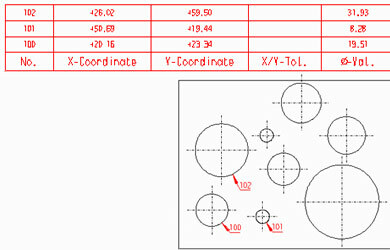 As a function of freely positionable reference coordinate system all relevant data of a drilling (coordinates, diameter, tolerance data, comments) can be displayed at minimum expenditure in clear tabular form. Thus a pedantic and an unclear measuring of the individual drilling is omitted completely, as well as the manual gathering of the necessary information. With the arranged information the creation of e.g. CNC programs is substantially accelerated, since the information is to be found fast and is represented clearly. In MEDUSA4 can use the balloon texts in your sheet to create a parts list. This parts list can get personal column headers and it can be updated at any time, if the drawing has been changed. 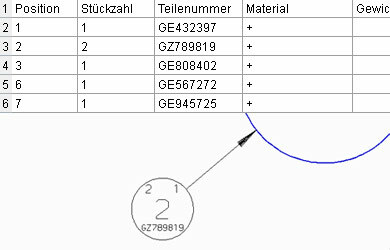 Additionally it is possible to create a parts list from part balloons from several sheets.